Impeccable attention to quality, detail and the exclusive use of natural materials provide Global Views products an allure all their own. The vivid beauty of a thousand eyes is translated in the graphic style of the Peacock pillow. 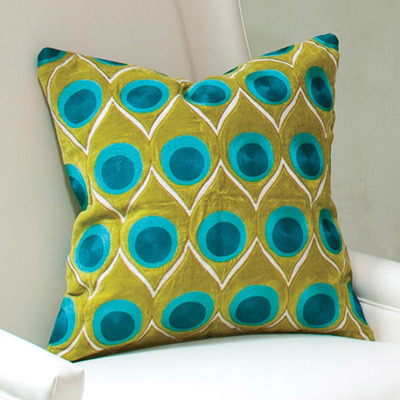 Bold chartreuse and turquoise come together in the modern motif of this decorative accent. Made from 70% jute and 30% cotton. Polyester pillow insert included.